Lately, I've been pushing myself to submit my short stories to critique groups. Initially, I go into the critique process feeling confident, certain others will enjoy my writing as much as I enjoy it. However, I almost always leave humbled. Sometimes, I also end up feeling downright insulted. This part of the writing process isn't easy. Yet, it is an incredibly important part if you are trying to grow your writing and improve your writing pieces. Unfortunately, this can also take a jab at creative confidence and self-esteem. This is why I often end up staying in the first draft level of writing. Now, I'm actively trying to change that. How can we grow as writers if we don't advance to that next stage? Lately, I have learned a few ways that helped me recover from reading critiques of my stories. I hope these tips help you bounce back and maintain your creative spirit. Let's be honest. It isn't fun hearing our baby isn't perfect in the eyes of other readers and writers. While our instinct (or maybe, it's just mine) is to pull away and say to ourselves this person has no idea what they're talking about, at least consider the feedback you've received. (This is why it's important to get feedback from more than one person too.) Is there one suggestion that everyone is saying? Is everyone saying your ending was too abrupt? Or that your character didn't have enough inner dialogue? If it hurts too much to read the feedback, take a break for a few days and re-read your critiques when you've recovered. I did that and gained a fresher, far less sensitive perspective on my feedback. 2) Work on something else. Sure, you'll have to face the critiques at some point, but if you are freshly wounded from reading that feedback, work on something else for a few days. This can help you restore your creative energy. For me, it also gives me peace in knowing not all my eggs are in the same creative basket. 3) Don't forget that you know your own work. One great piece of advice I learned recently is that we are the best judge of our work. No one else sees the behind the scenes work of our writing pieces except us. No one else knows what we intended with that character, plot line or experience we wrote down. So take the feedback for what it's worth and understand it's simply someone's critique. It isn't something you are required by law to adhere to. Getting my work critiqued and developing my own revision skills is part of the writing process. Unfortunately, it isn't always easy. Through this process, though, I've also learned the true benefit of great critiquing skills and hope along the way I can learn to improve my own. 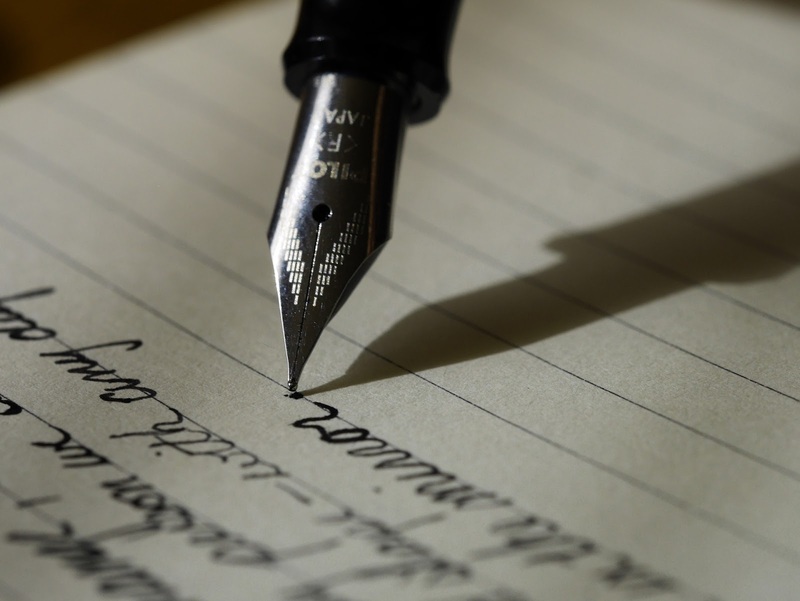 How do you recover from getting your writing critiqued? What advice can you share? Nicole--I recently came back from a writing critique group meeting with a comment that I didn't agree with. The fellow writer thought I should expand my essay. The problem (in my mind): if I expanded it to include an additional issue, I'd have to include others, and the essay would end up being 5 or 10,000 words long. The other members didn't agree. Neither did I. I considered doing it, but later decided not to. Your advice to take the suggestion if everyone (or most everyone) is saying the same thing is wise. Many times, I make a suggestion (I see a problem with a word or an image, for instance), but I also add, "It might be just me." Your idea that we own our pieces have the ultimate say-so is on-point. It's our baby. We make the final decision. Great advice, Nicole! I honestly haven't gotten a harsh critique in a while, but I frequently get silence...which obviously doesn't help me and just leaves me bewildered. Then I formulate ideas in my own head, like my work is too intimidating or not relatable. I don't mean intimidating in a good way, I mean it more like people just don't know what to say about it because it's so out there or painful to read. The harshest critique I've received recently though is that my writing can be too reporterly, which is terrible for a creative nonfiction writer. I agree with it though, so I'm actively trying to change that and dig deeper within myself emotionally. I know you've heard me say this before, but I only take advice that rings true to me. If I hear something and think, OMG that will totally improve this piece! then I use it. If I don't hear that inner voice, I ignore it. It's as simple as that. A lot of times when you're using these sites, you're getting critiques from writers who don't know how to critique, and writers who are just starting out. It's important to remember the source and only take what you need. I'm sorry you've had some tough critique experiences lately but know that you are NOT alone! This is all good advice for writers who are in the same boat. The fact that you are putting your work out there to be critiqued means you are serious about your writing and publishing. I also have had to step back away from things after getting harsh critiques from people I don't know very well. Now, with people in my inner circle that I know are experienced . . . well, I tend to take that feedback a little more seriously and objectively. By the way, Angela, I totally feel you on being told you sound too much like a reporter. My journalism instructors would be happy about it . . . but not really what I'm going for in creative non-fiction or fictional pieces! @Sioux - Thank you Sioux! And your experience definitely confirms that we should definitely weigh the feedback as a whole, not one a time. @Renee - Thank you Renee! That's true, it's definitely a sign I'm ready to take the writing and publishing side of things far more seriously. And I think if I can continue to work through this side of things, it will work to my benefit!